Tears and Emotion: A Mystery Unsolved? Why do people cry? Sadness does not seem to be the only emotion which stimulates a person to shed tears. We cry when we listen to soothing music and loving words spoken to us. We may even cry when we are extremely overjoyed. In Vingerhoets and Bylsma (2015) review of human emotional crying, the authors listed both the negative and positive antecedents of adult crying and they included defeat, powerlessness, failure, justice and altruism. There are a variety of triggers for emotional tears and in spite of the passing of childhood, our ability to cry still sticks with us through thick and thin, providing a venting channel that presumably helps keep us sane through an ordeal. It goes to show that emotional crying matures along with us as we develop from a crybaby into a sensitive friend and lover. Nonetheless, like any nervous function, our delicate crying proneness can also be permanently altered by illness and injury, as discovered in a pilot study by Laan (personal communication, 2000). The research literature is limited in explaining the underlying mechanisms behind our emotions and crying. An early concept of catharsis suggests that tear production helps facilitate the release of emotional energy and tension from within a person, which, if not done, will lead to negative consequences on one’s health and well-being (Breuer & Freud, 1895/1955; Koestler, 1964; Sadoff, 1966). A survey of the popular literature and the general public majorly agree that crying is beneficial (Cornelius, 1986; Vingerhoets, 2013). Crying as cathartic relief also brings to mind studies which demonstrated that immediate and chronic inhibition of emotions in participants produced increased physiological arousal and sympathetic nervous system activity that taxed the body’s resources and led to poor health outcomes (Gross, 2002; Gross and Levenson, 1993, 1997; Levy, 1990; Levy & Heiden, 1990; Levy et al., 1985). Thus, it would be interesting for future studies to assess the physiological measures and general health profiles of participants who cry and those who do not under stimulating conditions. As we grow and age, behavioural and emotional inhibition becomes a part of our daily life, and perhaps this adjusts and increases our crying threshold, which is generally higher in men than in women (Vingerhoets & Bylsma, 2015). It appears that one’s crying tendency is related to a kind of emotional threshold, exceeding which a person will release in the form of a tearful outburst. Such an idea leads me to imagine a model of a measuring emotional bottle that gets filled up over the course of time by probably more than one kind of antecedent, and eventually there will be an instant when the content just overflows. If this is a reasonable picture of the process, our capacity to hold emotions in the form of inhibition may be more intimately linked with tear production. Could this also mean that individuals with a lower emotional threshold are less inhibited in other expressions such as laughter? I believe that the mystery can be solved by studying the various neurochemical messages provided by our tear content, such as stress hormones and nerve growth factor, which play a role in wound healing and the alleviation of depression. Frey (1985) discovered that emotional tears contain high concentration of endorphins, the body’s natural painkillers. A study by Dunbar et al. (2011) suggested endorphins may also be released during relaxed social laughter, hinting at a common neural denominator behind such positive emotional response and crying. These clues could afford us a glimpse into a person’s level of stressful experience as well as the yet unclear tension relief and self-soothing functions which crying could serve. Thus, much remains to be explored as our curiosity for the potential benefits of tears and crying grows with time. Breuer, J., & Freud, S. (1955). Studies on hysteria (J. Strachey, Trans.). London, UK: Hogarth Press. (Original work published 1895). Frey, W.H. (1985) Crying: The mystery of tears. Minneapolis, MN: Winston Press. Gross, J. J., & Levenson, R. W. (1997). Hiding feelings: The acute effects of inhibiting positive and negative emotions. Journal of Abnormal Psychology, 106, 95-103. Koestler, A. (1964). The act of creation. London, UK: Hutchinson. Levy, S. M. (1990). Psychosocial risk factors and cancer progression: Mediating pathways linking behavior and disease. In K. D. Craig and S. M. Weiss (Eds. ), and Health enhancement, disease prevention, and early intervention: Biobehavioral perspectives (pp. 348-369). New York, NY: Springer. Levy, S. M., & Heiden, L. A. (1990). Personality and social factors in cancer outcome. In H. S. Friedman (Ed. ), Personality and disease (pp. 254-279). New York, NY: Wiley. Levy, S. M., Herberman, R., Maluish, A., Achlien, B., & Lippman, M. (1985). Prognostic risk assessment in primary breast cancer by behavioral and immunological parameters. Health Psychology, 4, 99-113. Sadoff, R. L. (1966). On the nature of crying and weeping. Psychiatric Quarterly, 40, 490–503. Vingerhoets, A. J. J. M. (2013). 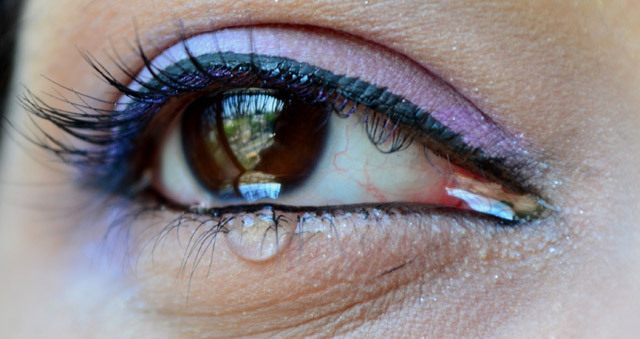 Why only humans weep: Unraveling the mysteries of tears. Oxford, UK: Oxford University Press. This entry was posted in Psychology and tagged Crying, Rowena Kong, Tears on September 24, 2015 by katie coopersmith.